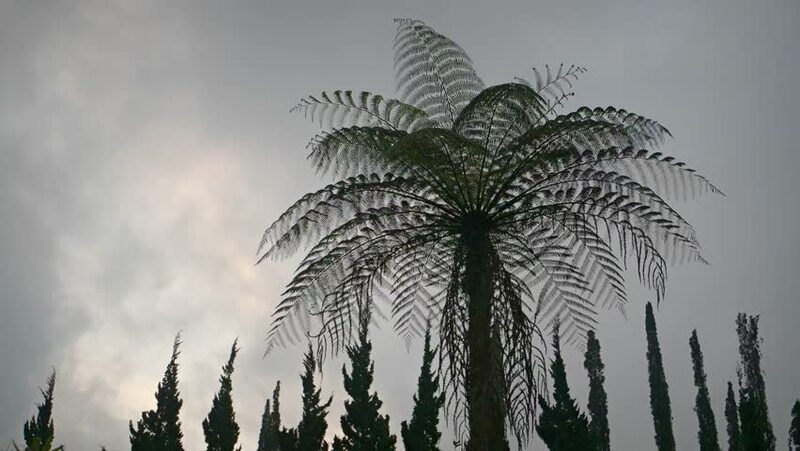 Tall tree fern. resembling a palm. standing. silhouetted against a gray. overcast sky in Bali. Indonesia. 4k00:08The wind blows the coconut trees at sunset.